Josh conducting brassica taste tests at Cruickshank Botanic Garden. Harvest time is when we can finally taste the products of our labours in the vegetable garden. 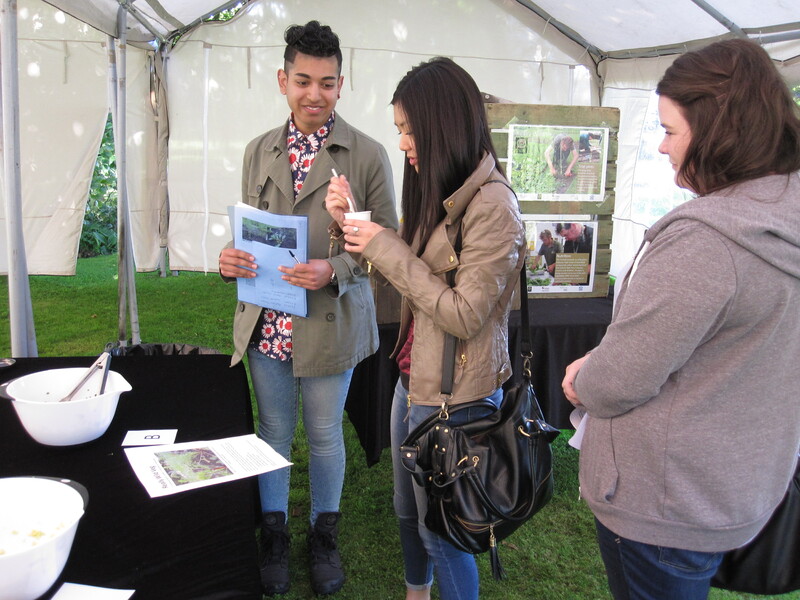 The Really Wild Veg project has been using blind taste tests as one way to assess how domesticated crops differ from their wild relatives in this crucial aspect of food plants. Last year the taste test on brassicas suggested that wild cabbage had the best flavour with 51% of the vote. The heritage and F1 varieties had 28% and 21% of the vote respectively. It seems that many people enjoyed the stronger flavour of the wild cabbage. This year we have used kale to compare with wild cabbage as, like wild cabbage, they do not form a head. In last year’s taste test the wild cabbage was dark green and the domesticated varieties were pale due to having come from varieties that form a head. This may have subconciously influenced the results as people might believe the darker green vegetable to be more nutritious. As before, the preference was based on a like of stronger flavours and many commented on the F1 hybrid having the blandest flavour. This suggests that in this case breeding of the F1 hybrid is not being driven by flavour. Given the size of the plants it looks like the productivity data will show that the F1 has been the most productive of the three types of brassica in the trial. Samples from this year’s trial are now in the lab at the Rowett Institute of Nutrition and Health and we await the results with anticipation. Initial results from last year’s trial have shown that the wild realtives have significantly higher levels of beneficial phytochemicals compared to both heritage and modern varieties. There is no significant difference between the heritage and modern varieties. Mealy aphid on heritage kale at RBGE. The incidence of pests and diseases will be recorded at the Botanics when we harvest the crops later this week, but casual observation suggests that for the brassicas the biggest pest/disease problem has been experienced by the heritage kale. 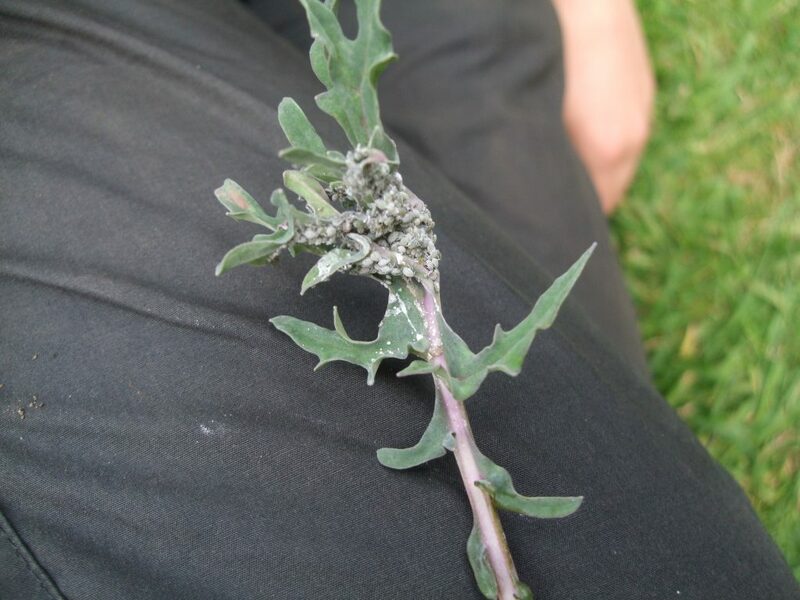 The plants have heavy infestation of mealy aphid and the stems and lower leaves are all covered in mildew. The F1 plants have localised aphid and mildew and the wild plants appear to be completely free of these problems.